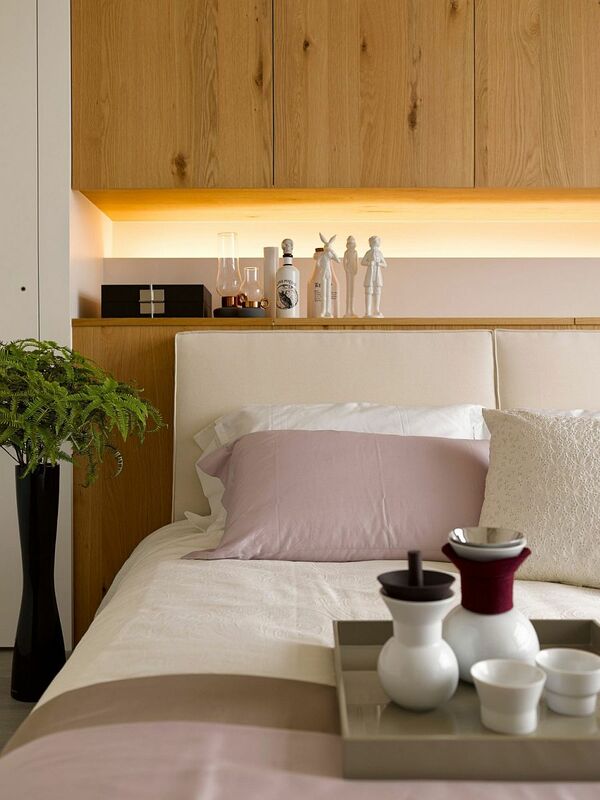 When you have a small home, the most natural reaction is to make the most of the available space and also give the interior a cheerful, airy vibe using light colors and neutral hues. 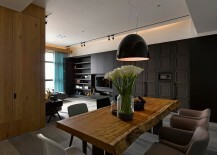 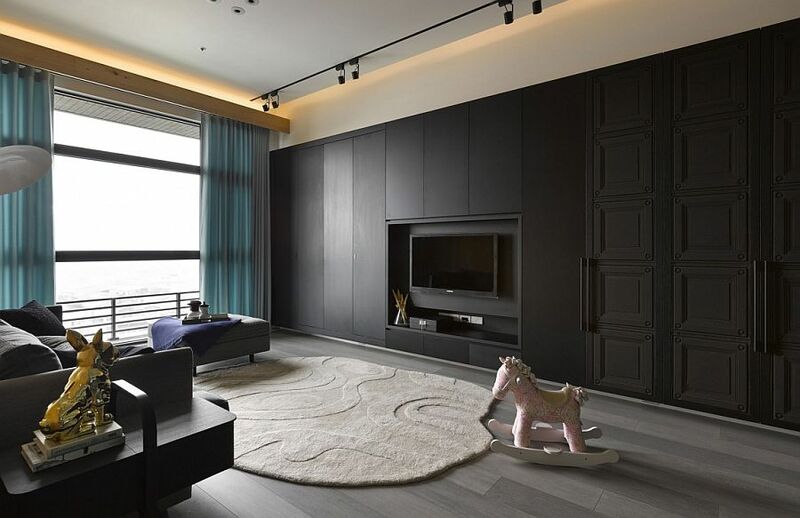 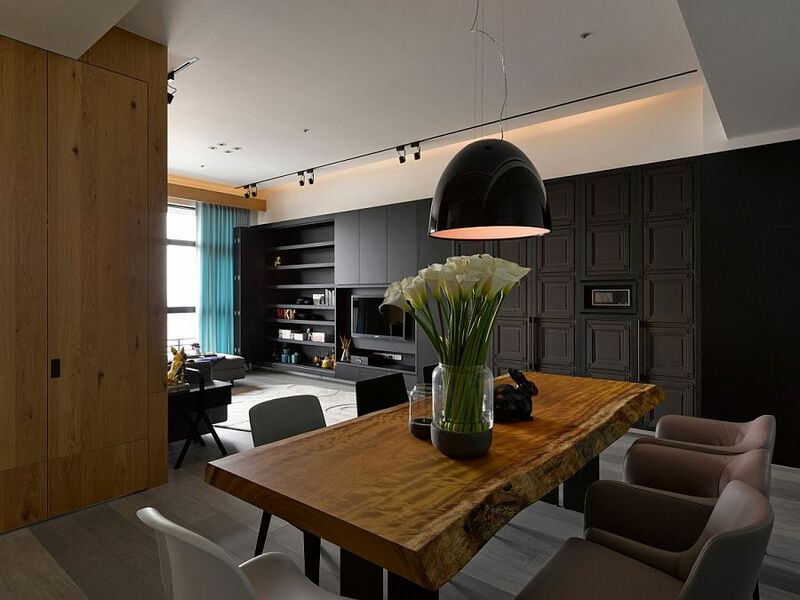 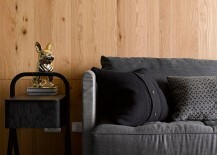 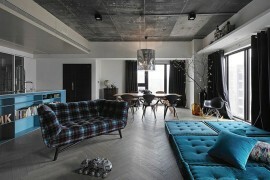 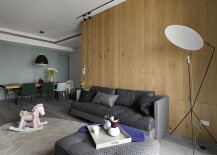 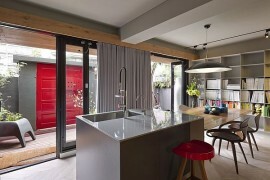 But apartment Chen in Taipei City takes an opposite approach, as it turns its modest living area into a modern and minimal setting where black is the color that makes the biggest visual impact. 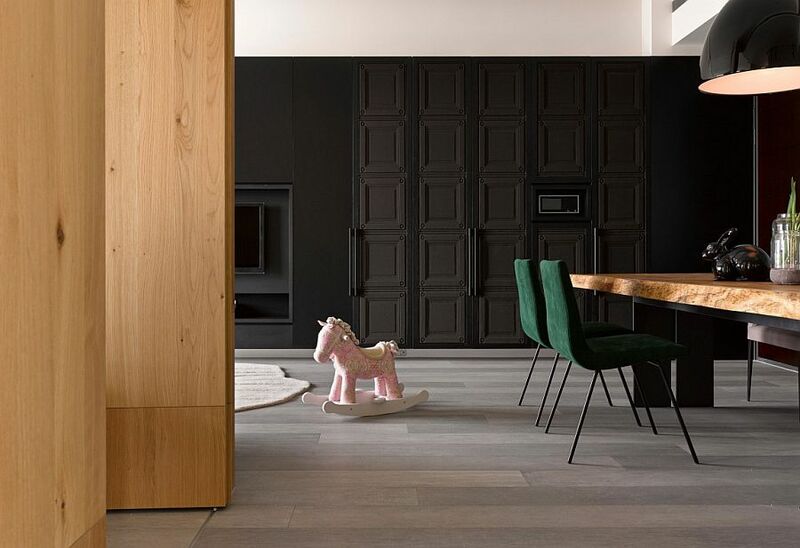 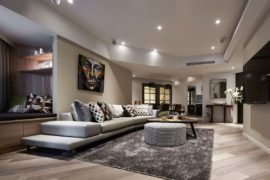 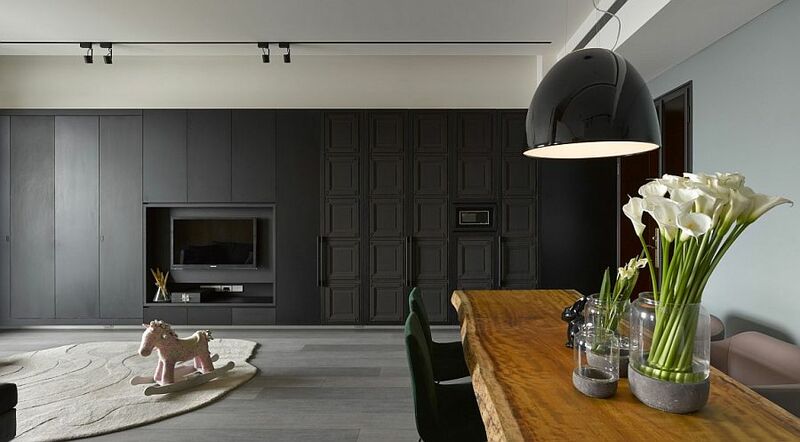 The black wall in the living room was crafted using both paint and wallpaper and is used to contain the storage units, additional cabinets and an entertainment unit that blend into the dark backdrop. 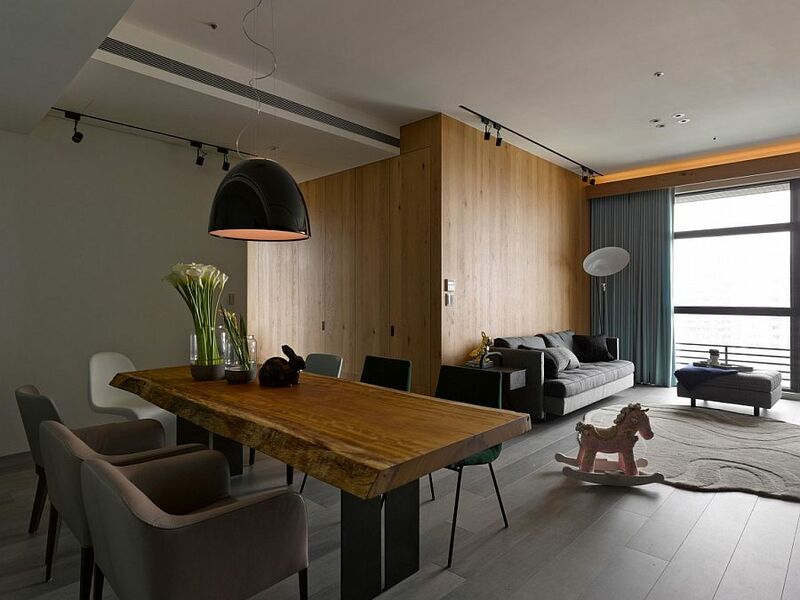 Crafted by Ganna Design, the smart apartment shuns away excess in terms of décor and accessories, and the open living area contains both a small sitting zone and a fabulous dining area with a natural, wooden dining table. 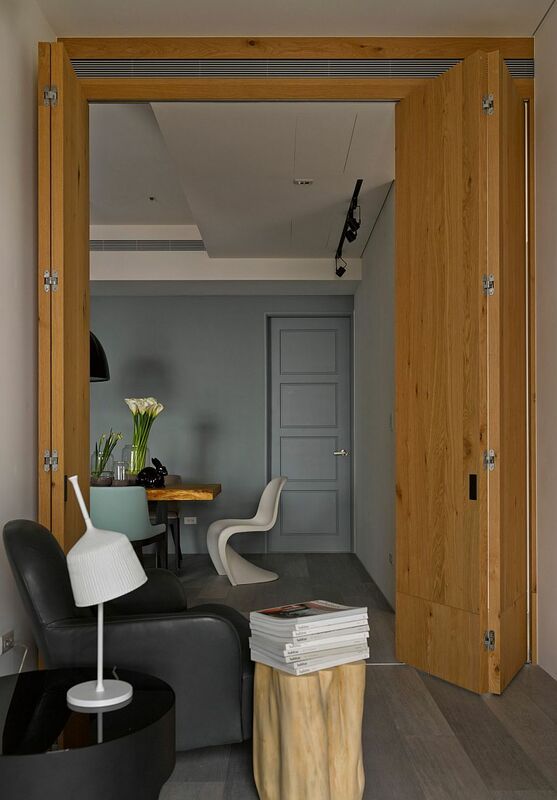 Foldable wooden walls and partitions create smaller rooms within the larger living area and help delineate the bedroom and the home office from the adjoining living area. 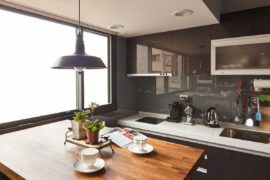 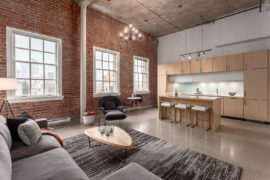 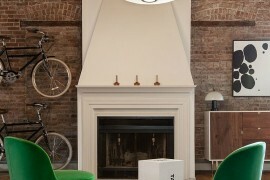 Black, gray and white are the predominant colors used inside the contemporary apartment, with restrained pops of green ushering in visual contrast and a soothing vibe. 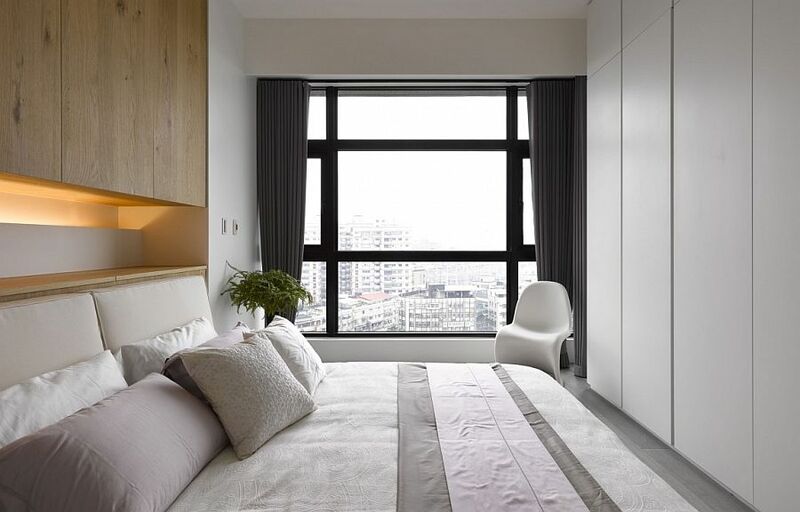 While the living room highlights the brilliant use of black, the bedroom takes an opposite approach, as it celebrates white in an attempt to turn the small room into a relaxing and rejuvenating personal sanctuary. 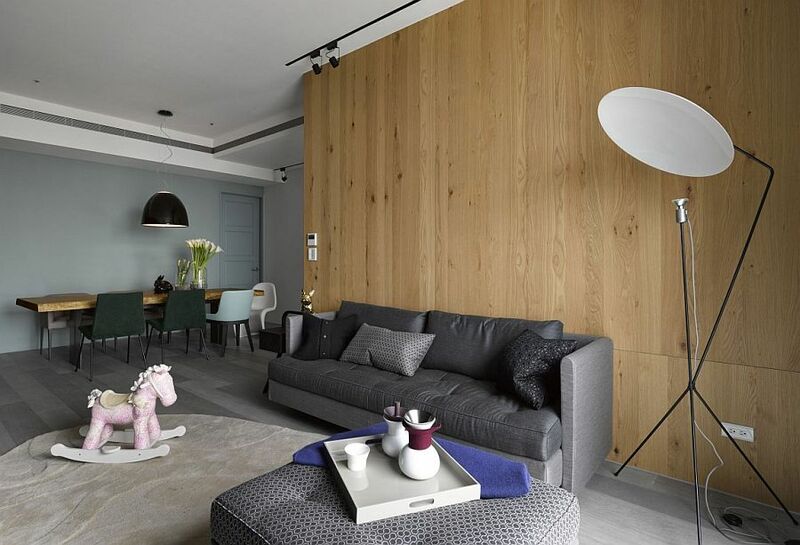 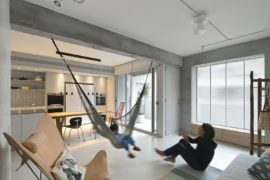 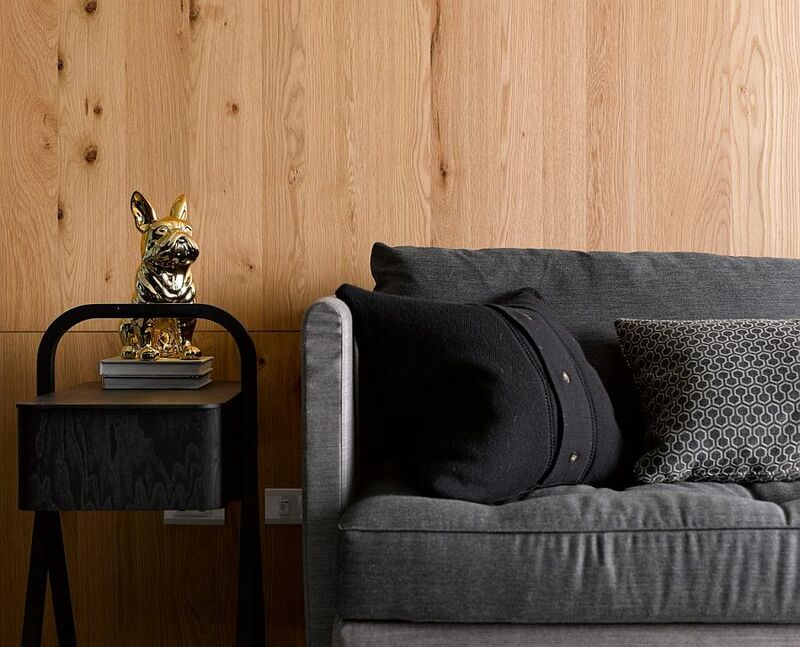 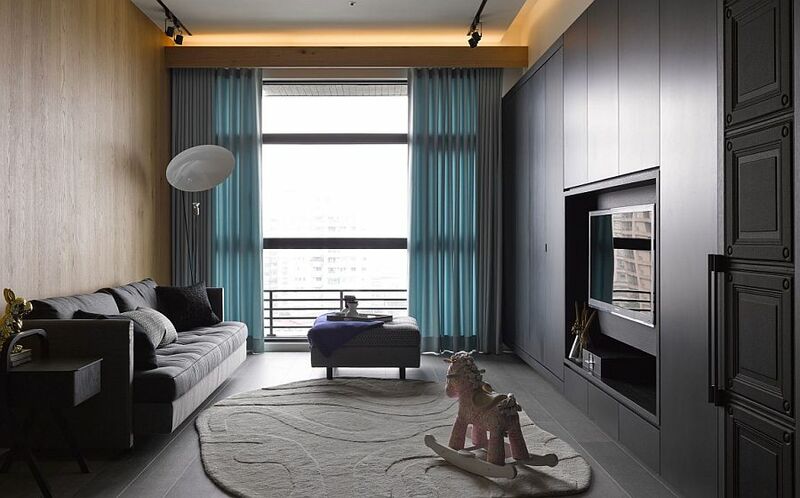 Even the kids’ spaces are bereft of any bright hues, and it is charming neutrals and wooden accents that define every aspect of minimalist Chen.